February 22: 5 POWER Lessons From 5 Leaders Who Made History On This DAY! Our physical existence on earth maybe temporary but the kind of impact we create, enables us to be alive forever in the hearts and minds of people. We may die one day, but our achievements and contributions remain immortal forever. Read on to learn the 5 formulae from 5 achievers, born this day! A true leader does not only lead but also wins the hearts and adjoins motivation and spirit to achieve, to the emotions in every one. A leader grows tall and concurrently contributes to the upbringing of others as well. The first U.S. president not only headed the Continental Army in the American Revolution, but also was a true leader who led the young minds. Washington was the best choice for George Washington for a number of reasons: he had the dignity, military and political experience and aura for the job and he had also been advising Congress for months. He, an American politician and soldier, was one of the Founding Fathers of the United States. He is well observed as the driving force behind the nation's establishment and came to be known as the "father of the country" till date. 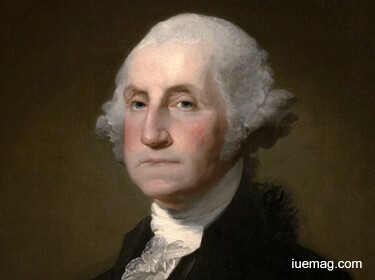 Washington was broadly admired for his strong leadership qualities and was unanimously elected as president by the Electoral College in the first two national elections. He envisioned the creation of a strong, well-financed national government that maintained neutrality in the French Revolutionary Wars, suppressed the Whiskey Rebellion, and won acceptance among Americans of all kinds. Washington's incumbency established many precedents, which are still in use today, such as the cabinet system, the inaugural address, and the title, Mr. President. On avoiding war with Great Britain, he ensured a decade of peace and profitable trade by securing the Jay Treaty, despite intense opposition from the Jeffersonians. He remained non-partisan by not joining the Federalist Party. Washington's Farewell Address was an influential primer on civic virtue, warning against partisanship, sectionalism, and involvement in foreign wars. Knowledge founds inventions, which in turns contributes to the progress of the mankind. Taking wise steps enlightens our minds and directs our further journey in the right way. Though Renato Dulbecco excelled in math and physics, he followed his passion and studied medicine. 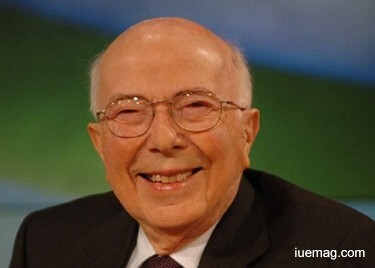 He often ranked at the top and took Howard Temin as his student and shared the Nobel Prize for their discoveries concerning the interaction between tumor viruses and the genetic material of the cell, together with David Baltimore. He was an Italian American virologist, who won the 1975 Nobel Prize in Physiology or Medicine for his work on Oncoviruses, viruses that can cause cancer when they infect animal cells.Temin and Baltimore arrived at the discovery of reverse transcriptase simultaneously and independently from each other; although Dulbecco did not take direct part in either of their experiments, he had taught the two methods they used to make the discovery. His interest in cancer stem cells was strongly influenced by evidence that in addition to genomic mutations, epigenetic modification of a cell may contribute to the development or progression of cancer. The research helped pave the way for studying cancer cells for the fight against cancer. Oncovirus is the cause of some forms of human cancers. Dulbecco's study gave a basis for a precise understanding of the molecular mechanisms by which they propagate, thus allowing humans to fight them better. I did not care what or where I went. I asked God to help me, and he did so. And that is the way I came through that terrible and Hellish place. For the whole entire battlefield was hell, so it was no place for any human being to be. Pippin initially took up art to strengthen his wounded right arm; he used his left arm to guide his injured right arm when he did first oil painting- one of his best-known paintings, his Self-portrait. Horace Pippin created art as a child, though he lost the use of his drawing arm in World War I. 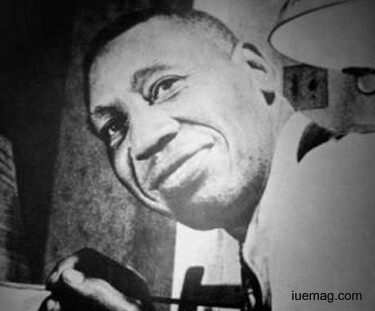 He persevered and taught himself to paint with his injury, becoming a MOMA artist acclaimed for his renderings of African-American life along with biblical imagery and historical scenes. Called the Crocodile Hunter, Steve Irwin was a passionate conservationist and believed in promoting environmentalism by sharing his excitement about the natural world rather than preaching to people. He was concerned with conservation of endangered animals and land clearing leading to loss of habitat. He considered conservation to be the most important part of his work: "I consider myself a wildlife warrior. My mission is to save the world's endangered species" and stressed the importance of people realizing that they could each make a difference. Irwin extended his love and care to the flora and fauna around, realizing the fact that our environment is composed of other creatures along with human beings. 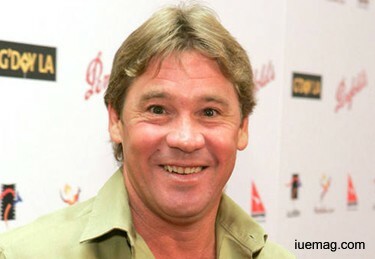 Irwin was an Australian nature expert and television personality, who achieved worldwide fame from the television series The Crocodile Hunter, is an international broadcast wildlife documentary, that he co hosted with his wife. Together, the couple also owned and operated Australia Zoo; Irwin became involved with the park in a number of ways, including taking part in daily animal feeding, as well as care and maintenance activities. He began handling crocodiles at the age of nine after his father had educated him on reptiles from an early age and he also wrestled his first crocodile. He worked as a volunteer for Queensland's East Coast Crocodile Management program and captured over 100 crocodiles, some of which were relocated, while others were housed at the family park. Irwin took over the management of the park and renamed it Australia Zoo. Let your way and style of life serve as a quick guide for the future generations to frame their life and achieve. 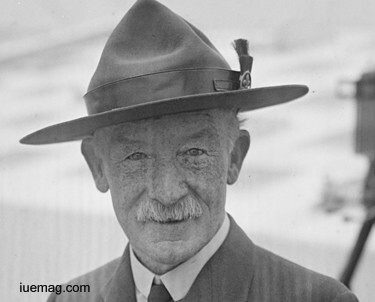 Robert Baden-Powell is one such example, who was a British military leader, was the founder of the Boy Scouts and the Girl Guides Movement (known as the Girl Scouts in America). Robert Baden-Powell was a lieutenant general in the British Army. When he found the Boy Scouts, he learned that his military textbook aids the Scout for training boys in woodcraft. He then wrote Scouting for Boys and retired from the army in 1910 to devote his time to the group. His sister, Agnes, helped to found the Girl Guides and worked with Juliette Gordon Low to bring Girl Scouts to the United States. He was a writer and the author of Scouting for Boys, which was an inspiration for the Scout Movement. He was the founder and first Chief Scout of The Boy Scouts Association and founder of the Girl Guides. The first Scout Rally was held at The Crystal Palace in 1909, which had a number of girls dressed in Scout uniform, who told B-P that they were the "Girl Scouts", following which, in 1910, B-P and his sister Agnes Baden-Powell formed the Girl Guides from which the Girl Guides Movement grew. Any facts, figures or references stated here are made by the author & don't reflect the endorsement of iU at all times unless otherwise drafted by official staff at iU. This article was first published here on 22nd February 2017.